Salem Broken Garage Door Cable Repair is a locally owned repair company with over 20 years’ experience in the industry. Our high standard of service distinguishes our company as the Premier Repair Company in Salem. Our technicians go through intensive training to handle any and all issues that may arise with your garage door. All of our technicians are licensed, insured, and bonded and come fully stocked with parts. This means we can get your cables repaired or replaced, TODAY! Garage Door Cable Repair, Why Not Do It Yourself ?  We understand the appeal of fixing your garage door yourself. However, if you’re relying on YouTube or Google to guide through a repair or replacement you may be causing more damage to your door and putting yourself in a dangerous situation.We know how inconvenient it is to be unable to open your garage door. That’s why we offer 24/7 service to get your garage doors working again. • We’ll send a licensed, insured, and bonded technician to your home, fully stocked within hours of calling. • We’ll replace your broken cables with high-quality parts designed specifically for your door. Since our technicians arrive fully stocked, we’ll be able to replace any parts with one trip. • Our parts and service come protected by the best warranty in the industry. The cable lengths vary by door height and must be wound in a specific way around the drum to function properly. These cables are wound around pulleys and attach to the garage door to help it move. 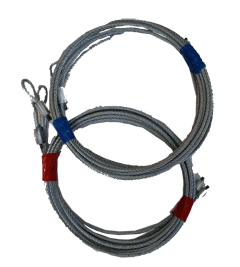 Safety cables run through the center of an extension spring and prevent the spring from becoming a projectile. Systems without safety cables are very dangerous. To protect yourself and your property, make sure your extension springs have good, working safety cables attached. If you do not have safety cables, please consult a garage door repair professional (503) 379-0777.